Display pad insert, hemp, natural, 14 x 7-7/8 inches. Sold individually. Item Number: H20-2752PK Have a question about this item? 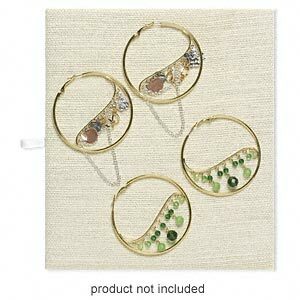 Eco-friendly and economical hemp display pads to showcase jewelry and beads. 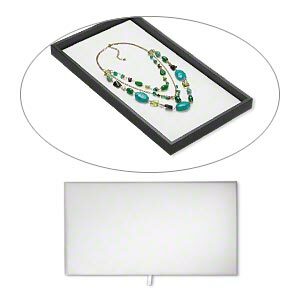 The pads fit standard size display trays for a professional look. Sturdy fiberboard base and woven hemp covering in natural color. Pull tab assists removal from tray. Items can be secured to pads with "U" pins, sold separately. Display pad insert is specifically designed to fit 14-3/4 x 8-1/4 x 1-inch display tray. Colors, shapes and sizes may vary in each lot. Display pad insert, hemp, natural, 7-3/4 x 6-3/4 inches. Sold individually. 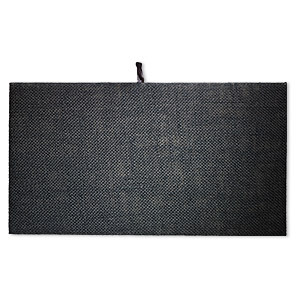 Display pad insert, hemp, black, 14 x 7-7/8 inches. Sold individually. Display pad, leatherette, white, 14 x 7-1/2 x 1/4 inches. Sold individually. 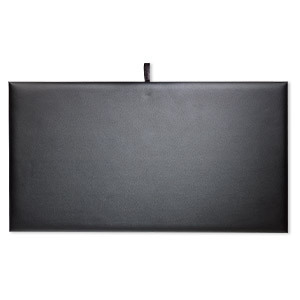 Display pad, leatherette, black, 14 x 7-1/2 x 1/4 inches. Sold individually.